Need Help? Please take a look at our FAQ section below to try and find the answer to your question. If you don't find your answer, please send an email to support@fotobabble.com. We'll get back to you as quickly as we can. What do I need on my computer to use Fotobabble? I can't hear sound on any Fotobabble when I view them? How do I make a Fotobabble? What can I use Fotobabble for? Does Fotobabble support Mac and PC? Why use Fotobabble instead of YouTube? How come I can't record? Can I upload photos I find on the web? Can I make my recording louder? What is that message box that pops up that says "Allow", "Deny"? Can I stop that "Allow", "Deny" box from always coming up when I want to record? Can I re-record my audio? Where is my computer's microphone? Can I preview my Fotobabble before it goes live? Can I edit or delete my Fotobabbles later? How do I send Fotobabbles to friends? How do I post Fotobabbles to Facebook? How do I post Fotobabbles to Twitter? How do I post Fotobabbles to MySpace? How do I embed Fotobabbles on my website or blog? Can I stop the Fotobabble embedded in my website or blog from auto-playing? Can I resize my embedded Fotobabble? How do I make my Fotobabbles private? Can voice comments be added to an existing Fotobabble or to respond to a Fotobabble I received? Can I use Fotobabble on my iPhone? Can I share Fotobabbles made from my iPhone directly with other iPhone users? Do I need to log in each time to send a Fotobabble using iPhone app? How do I make Fotobabbles I create on my iPhone visible on the website? How do I delete Fotobabbles from my iPhone? Can I use Fotobabble on my Blackberry, Android or other smartphone? How do I create or update my Fotobabble profile? Do I own my Fotobabble once created? Can people comment or rate my Fotobabbles? Will Fotobabble work in my blog? How does Fotobabble handle big files? Who is hosting the Fotobabbles? What formats does Fotobabble support? How long can the audio recording be? Will you have any Fotobabble contests? Can I make money from my Fotobabbles? A. Fotobabble allows you create and share Talking Photos in three simple steps: 1) Upload a photo, 2) Record your voice, and 3) Share with friends and family. Q: What do I need on my computer to use Fotobabble? Q: I can't hear sound on any Fotobabble when I view them? A: Make sure the volume is turned on and turned up on your computer. If you are not having problem hearing audio on other websites, you may need to install the latest version of Adobe Flash. See above. Q. How do I make a Fotobabble? A. On the website, simply upload a photo, and then click the record button to record your voice. Q. What can I use Fotobabble for? Review products, songs, movies, TV shows, anything! Q. 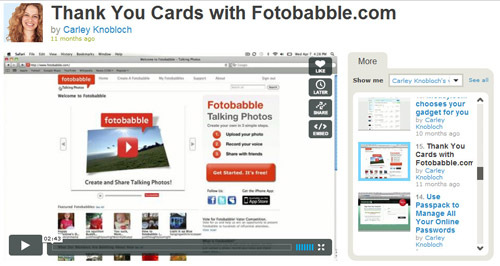 Does Fotobabble support Mac and PC? 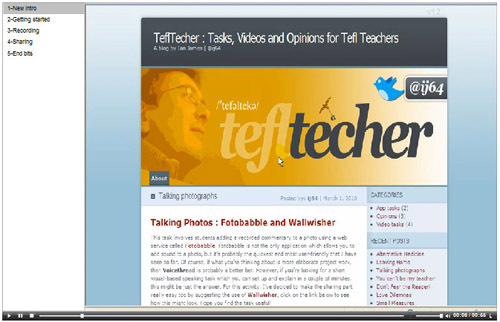 A. Fotobabble is completely web-browser based, requires no software download and runs on PCs and Macs. Q. Why use Fotobabble instead of YouTube? A. While YouTube is an excellent platform for sharing video, creating and sharing Fotobabbles is much easier and much faster to do. You can use photos you already have. A still image combined with audio can be powerful, entertaining, memorable and viral. Q. How come I can't record? A. If you are having trouble recording, please make sure you update your version of Adobe Flash. http://get.adobe.com/flashplayer/. After updating Flash you may need to restart your browser. On the record page, make sure you click Allow when the Flash Settings come up. If you do not get the Flash Settings box on the Record screen right-click (ctrl-click on Mac) on the photo, select Settings and make sure Allow is checked. Click the microphone tab to check your mic settings. Q. Can I upload photos I find on the web? A. You can save photos from the web to your computer by right-clicking and clicking "Save As." Then you can select the photo from that location when creating your Fotobabble. Keep in mind photos on the web are subject to different licenses for reuse. Q: Can I make my recording louder? A: The simplest thing is to try moving closer to your microphone. Another option is to right-click (or control-click for Mac) on the Fotobabble before recording, select Settings, then click the microphone tab and you will be able to increase your microphone volume. Q. What is that message box that pops up that says "Allow", "Deny"? 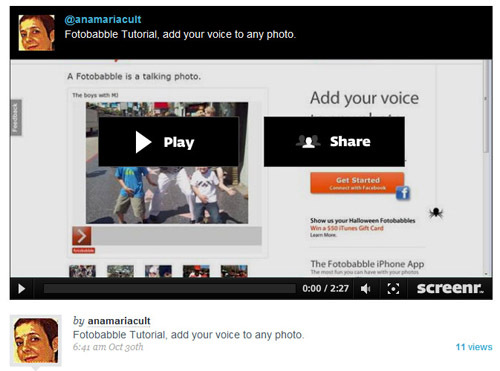 A. Fotobabble uses Adobe Flash to perform the recording of your voice from your microphone. Flash has a built security feature that asks for your permission before accessing your microphone. To record your voice click "Allow". Q. Can I stop that "Allow", "Deny" box from always coming up when I want to record? Q. Can I re-record my audio? A. Yes, as many times as you'd like. Q. Where is my computer's microphone? A. Most computers have a built in microphone. Fotobabble will automatically launch your internal microphone. If your computer doesn't have an internal microphone, you can plug an external microphone into your computer. Q. Can I preview my Fotobabble before it goes live? A. Yes. Hit "Play" to hear your audio. Re-record if necessary. Once you like it, click "Save" and your Fotobabble will be live. Q. Can I edit or delete my Fotobabbles later? A. Yes. Click "My Fotobabbles" to see all of your Fotobabbles and either click "Edit" or "Delete" to remake or remove your work. Q. How do I send Fotobabbles to friends? A. Once you've created a Fotobabble, you can click a "share" icon (Facebook, Twitter, email, etc.) or copy and paste the automatically generated URL into the platform of your choice. Q. How do I post Fotobabbles to Facebook? A. When viewing or editing a Fotobabble simply click the Facebook button and your Fotobabble can be posted in Facebook. Your Fotobabble will play right on your wall and in your friend's stream. Q. How do I post Fotobabbles to Twitter? A. When viewing or editing a Fotobabble simply click the Twitter button and a link to your Fotobabble will be tweeted out. Q. How do I post Fotobabbles to MySpace? A. When viewing or editing a Fotobabble simply click the MySpace button and your Fotobabbles will be posted on your MySpace page. Q. How do I embed Fotobabbles on my website or blog? A. Copy and paste the "embed" tag from the editing or view page and paste into the HTML of your website or directly into your blog. It works exactly like embedding a YouTube video. Q. Can I stop the Fotobabble embedded in my website or blog from auto-playing? A. Yes. Uncheck the "Autoplay" checkbox about the Embed field and the copy and paste the Embed code again. To confirm you should see a "autoPlay=false" in the embed tag. Q. Can I resize my embedded Fotobabble? A. Yes. You can change the height and width values in the embed code (you need to do this in two places). If you know how to use div tags, you can surround the embed code with a div tag that you can size and the Fotobabble will resize to fit in the div tag. A. 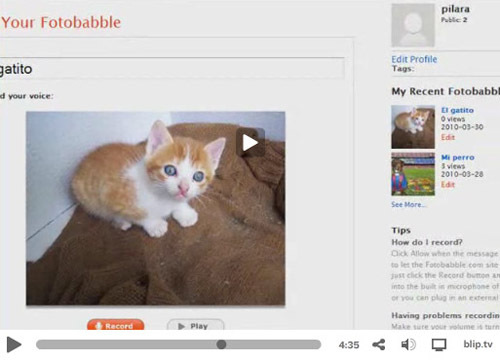 Tags are keywords or labels that you add to a Fotobabble to make it easier to find later. You can tag a Fotobabble with phrases like "Jeff, Kauai beach"
Q. How do I make my Fotobabbles private? A. Edit your Fotobabble and in the area where you record, you can click "Private" and then click "Save." Private Fotobabbles will only be viewable by people you share them with. They are not searchable on the site. Q. Can voice comments be added to an existing Fotobabble or to respond to a Fotobabble I received? A.Voice comments are coming soon to Fotobabble. Q. Can I use Fotobabble on my iPhone? Q. Can I share Fotobabbles made from my iPhone directly with other iPhone users? A. Yes. Just email them and other iPhone users can view them by clicking the iPhone link in the e-mail. Friends who do not have iPhones can view them through a web browser on their computer. Q. Do I need to log in each time to send a Fotobabble using iPhone app? A. Just log in once on the iPhone App it will remember you. Q. How do I make Fotobabbles I create on my iPhone visible on the website? A. You can login to the website and edit your profile. If you check "Make my Fotobabbles public by default?" then Fotobabbles created from your iPhone will be public. To make an individual Fotobabble public, while editing your Fotobabble, under the area where you record you can click "Public" and then click "Save." Q. How do I delete Fotobabbles from my iPhone? A. On the List screen, simply swipe the Fotobabble in the list and then click the Delete button. Q. Can I use Fotobabble on my Blackberry, Android or other smartphone? A. Support for Blackberry, Android and other mobile devices is coming soon. Q. How do I create or update my Fotobabble profile? A. When you log-in (or when you click "My Fotobabbles") you will see an "Edit Profile" link under your profile. Click to change your profile name, picture, homepage and info. Q. Do I own my Fotobabble once created? Q. Can people comment or rate my Fotobabbles? A. Text comments, audio comments and ratings are coming soon. Q. Will Fotobabble work in my blog? A. Fotobabbles can be embedded in all major blogs. Q. How does Fotobabble handle big files? A. Fotobabble does not allow uploads of images that are larger than 2MB. All images are resized to web friendly sizes on the Fotobabble servers. Q. Who is hosting the Fotobabbles? A. Fotobabbles are all hosted by the Fotobabble service. Q. What formats does Fotobabble support? Q. How long can the audio recording be? A. The audio can be up to 60 seconds in length. Q Will you have any Fotobabble contests? Q. Can I make money from my Fotobabbles? A. Fotobabbles can be virally spread on Facebook and Twitter and can help promote your products and business, drive more traffic to your site, and engage your customers.